The president said that they should be barred from serving. For months, Kiera Walker grappled with the decision of how and when to come out as a transgender woman to her fellow members of the Coast Guard. 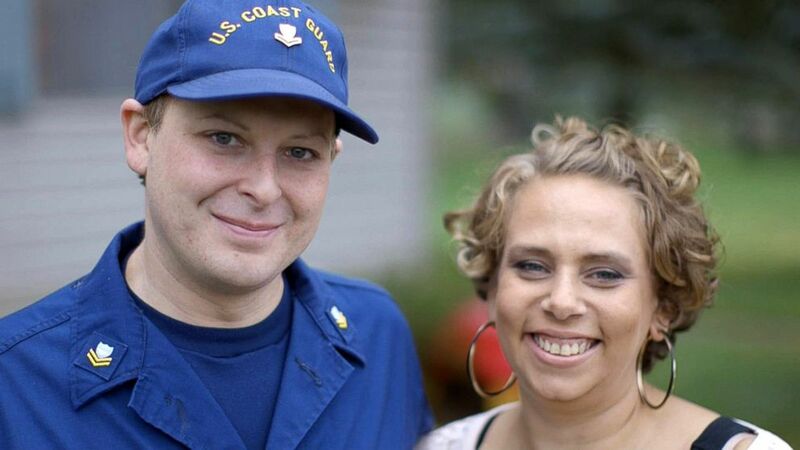 She had served in the Guard’s Duluth, Minnesota, station for about two and a half years, but her colleagues had known her only as Kieran, the male gender marker she used when she signed up for the Coast Guard Reserve years before. Walker says she spoke with her superior and had his blessing before making an announcement to her colleagues during an all-hands meeting in July. It was “nerve wracking,” she said. Her wife, Brandie Walker, stood off to the side for support. After Kiera Walker came out to the group as a trans woman, “There was a line to come over and shake my hand and tell me how courageous and brave it was to do that and how they’re supportive,” she told ABC News. Her relief at being accepted was short lived, however. Exactly two weeks later, on July 26, President Donald Trump sent Walker and her family into a tailspin with three short tweets announcing a ban on transgender individuals serving in any capacity in the U.S. military. (Evan Simon/ABC News) Kiera Walker and her wife Brandie have worked through her transition together. Military leaders worked quickly to assuage some of their service members’ concerns without directly contradicting Trump. Gen. Joseph Dunford, the chairman of the Joint Chiefs of Staff, issued his own guidance the next day, saying there would be no immediate changes until further instructions were handed down from the president. “In the meantime, we will continue to treat all of our personnel with respect,” Dunford said at the time. 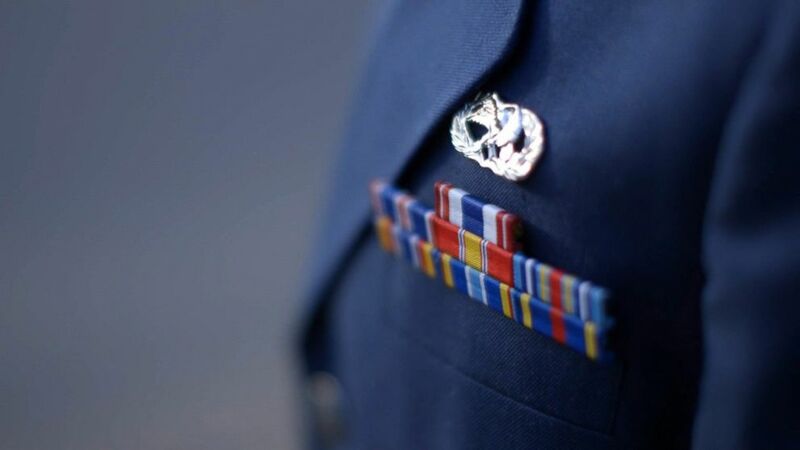 The Coast Guard is the only branch of the military that falls under the jurisdiction of the Department of Homeland Security, as opposed to the Department of Defense. While the Guard largely ends up following the same policies, Adm. Paul Zukunft, the commandant of the Coast Guard, also spoke out in support of transgender service members in the wake of the tweets. 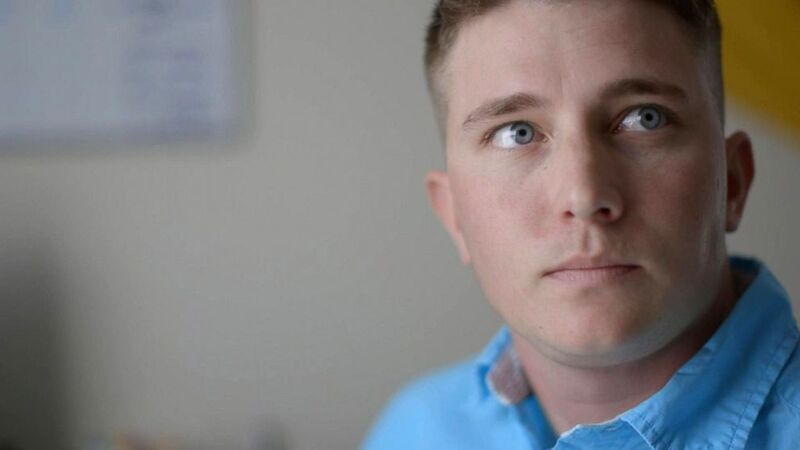 Zukunft said that after the tweets, he reached out to all 13 openly transgender members of the Coast Guard and referred to a conversation he had with Lt. Taylor Miller at a Center for Strategic and International Studies event in Washington on Aug. 1. “Taylor’s family has disowned her. Her family is the United States Coast Guard. And I told Taylor, ‘I will not turn my back. We have made an investment in you, and you have made an investment in the Coast Guard, and I will not break faith,’” Zukunft said during the event. “And so on the one hand, you want as many Americans to serve as possible. On the other hand, the effectiveness and lethality and deployability of the military. Those bookends exist,” Mattis said while talking to reporters on Aug. 29. In spite of those reassurances, Trump’s tweets have had a real, immediate impact for the Walkers and other military families like them, who are now living in fear and uncertainty while the military’s transgender policy is under review. The tweets prompted a number of service members to come forward and publicly share their outrage. That was the case for Sterling Crutcher, an Air Force airman first class and munitions technician based in Bossier City, Louisiana, who wrote a Facebook post on July 26 that went viral. (Evan Simon/ABC News) Sterling Crutcher was inspired to serve by his grandfather's military service. “My purpose for joining the military wasn’t to get anything free out of it,” he said. In declaring that transgender people would no longer be able to serve in the armed forces, Trump cited the “tremendous medical costs” for trans service members as part of his rationale for the ban. Brad Carson, an acting undersecretary of defense for personnel and readiness during the Obama administration, was part of the team that helped lift the ban on transgender military service members. He said that in the context of the overall military budget, the cost of covering whatever treatments are required for transgender service members is insignificant. The best estimate of how many service members are transgender comes from a 2016 Rand Corp. study, which says that 1,320 to 6,630 of the 1.3 million active duty service members may be transgender. Tom Spoehr, the director of the Center for National Defense at the Heritage Foundation, a conservative think tank, told ABC News he thinks that there should be a pause in the recruitment of transgender service members and that the status of those already serving should be evaluated on a case-by-case basis. As for the questions about the cost of transgender service members’ health care, he said the issue comes down to the “principles” behind the spending, not the spending itself. “Some people believe that might be elective in nature and probably should be paid by individuals, not the United States government,” Spoehr added. (Evan Simon/ABC News) Sterling Crutcher says that he would like to spend his whole career in the military, but now worries that may not be allowed. Treatment plans vary for transgender individuals, depending on what they and their doctors decide is needed. Kiera Walker said that she is six months into hormone replacement therapy, which is covered by her military health insurance, and it has made a radical improvement in her life and well-being. 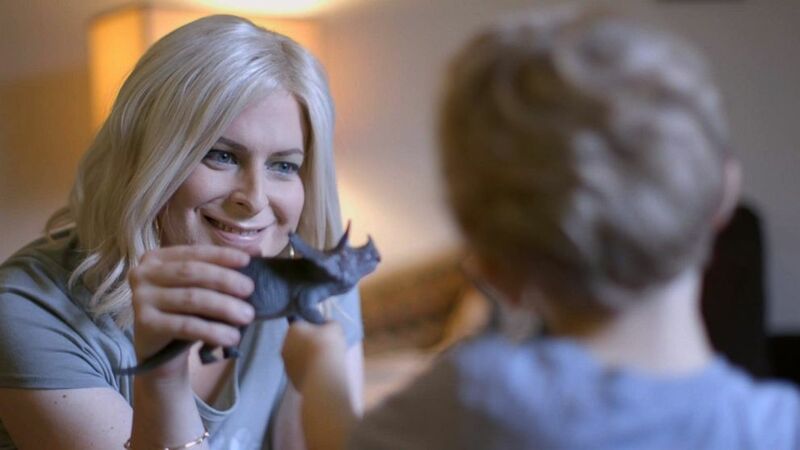 Walker estimated that if her military-issued insurance did not cover her hormone therapy, she would need to pay roughly $200 per month, which would be a “huge burden” financially on her family, she said. Critics opposed to allowing transgender individuals to serve in the military, including some conservative groups and members of Congress, have pointed to the fact that transgender people receiving certain medical treatments are not eligible to be deployed. In military terms, in order for service members to qualify as deployable, they must be able to be away from their home military base — and any medical professionals based there — for 90 days. According to a 2016 Rand study that evaluated the viability of lifting the ban on transgender service members before the Obama administration made its announcement, there would be no estimated nondeployable days for individuals solely going through hormone replacement therapy, but the analysis acknowledged that every case is different. However, estimates for transition-related surgeries vary from 75 nondeployable days for chest surgery to up to 135 nondeployable days for genital surgery. The Rand study notes that individuals can seek multiple treatments at the same time and therefore their recovery periods could overlap. (Evan Simon/ABC News) Kiera Walker presents as female while at home, but while at work, she still presents as a man and wears a male uniform. Walker said that her transition plan spans 18 months and during that time she is classified as nondeployable for more than 30 days. 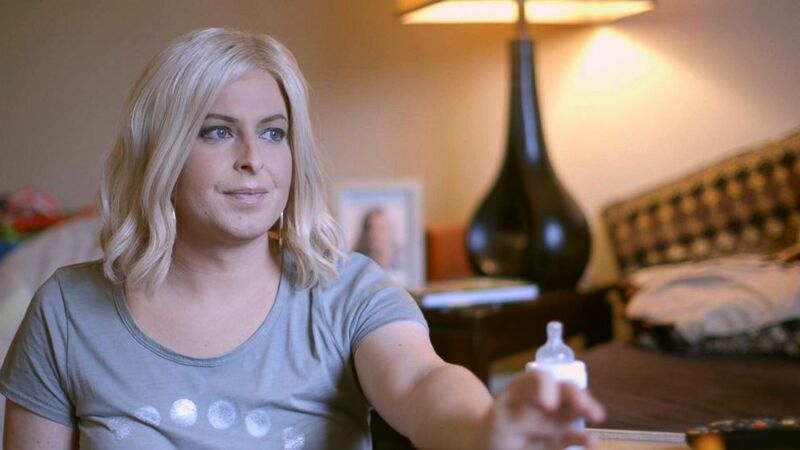 Though he said he was open with his doctors and superiors about the fact that he was taking an injectable hormone before he was deployed, he said he was sent back to the U.S. early after a superior in Qatar learned of it. At the time of Crutcher’s deployment, the ban on transgender service members’ serving openly had recently been lifted. 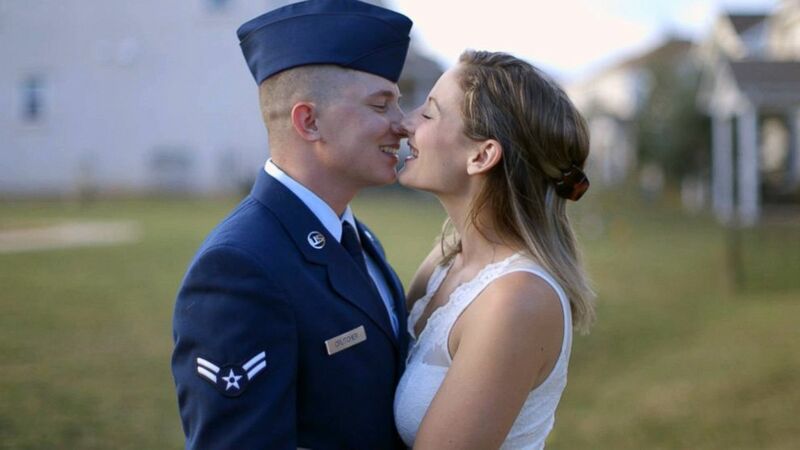 The airman said he was disappointed to leave his deployment early. “I had recommendations from my squad commander, my supervisor and my peers. They all said I was doing a great job and there was no reason that they saw that I needed to leave. But it wasn’t up to them, at the end of the day,” Crutcher said. That experience left him determined to get back into the field. “I’m going to work harder so I can get deployed again so I can fulfill my job and stay for an entire deployment. And really prove to them that I can do this,” he said. (Evan Simon/ABC News) Sterling Crutcher's wife Aimee said that they are now living in "limbo" as they wait to hear what the military decides to do in light of President Donald Trump's tweet suggesting transgender service members will be banned. Aside from concerns about medical costs and deployability, there is the larger question of whether transgender service members will be able to serve at all past the first few months of 2018. On Aug. 25, the White House issued a presidential memorandum giving Defense Secretary Mattis until Feb. 21, 2018, to come up with a plan “to return to the longstanding policy and practice” that barred openly transgender service members from serving in the military. “They have a common phrase in the military: never write down anything in pen. Why? Because everything is constantly changing,” Aimee Crutcher, Sterling Crutcher’s wife, told ABC News. Some are fighting back, however, including LGBTQ advocacy group Lambda Legal, which has filed a lawsuit fighting the Trump administration’s plan to reinstate the transgender ban. Lambda Legal staff attorney Sasha Buchert is a veteran of the Marines and a transgender woman. She told ABC News that it will be difficult for the administration to justify revoking the Obama-era policy that allows trans people to serve. A number of legal efforts to prevent a reinstatement of the ban are underway, and in late October a federal court judge temporarily blocked some portions of the August presidential memorandum, including Trump’s move to bar recruiting transgender individuals for the military. ABC News reached out to the Department of Justice about the recent preliminary injunction blocking part of the proposed ban. “We disagree with the court’s ruling and are currently evaluating the next steps,” the Department of Justice told ABC News in a statement, adding that the Department of Defense “is actively reviewing” Trump’s order to ban transgender service members. Carson, the former Obama administration official, said transgender service members are stuck in limbo. “They’re in a purgatory, you know, waiting to see what the judgment’s going to be,” he said, adding that he thinks the uncertainty could continue through future administrations. “Even if the policy’s put back in place, for example, so you can serve openly or we have a new president come into power in a few years who lifts the ban that perhaps President Trump puts back in place, you know, is it going to last? Is it going to just change every election cycle?” Carson said. (Evan Simon/ABC News) Kiera and Brandie Walker have two sons together and Brandie Walker’s daughter from a previous relationship also lives with them. As for the Walker and the Crutcher families, that state of limbo has led to a lot of anxiety already. Brandie Walker said that she’s now “always nervous about everything,” and Sterling Crutcher has gone so far as to start a second job, working as a food delivery driver for a local restaurant, to save up money “in case things don’t go our way and my wife and I have to find a new home and find a new place to go,” he said. It has also put in jeopardy the Crutchers’ plans to start a family. “Before the policy changed, we had big plans. He was going to go to officer school to further his career, further what he was doing here in the Air Force. We were going to start a family next year. It’s all I want,” Aimee Crutcher said. ABC News' Evan Simon and Jason Kurtis contributed to this report.